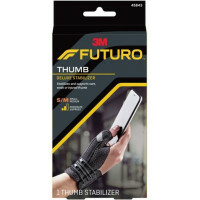 The FUTURO Deluxe Thumb Stabilizer delivers essential support to your thumb, so you can focus on the task at hand-whether that's texting, gaming or gardening. 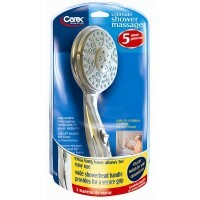 This thumb stabilizer features two supportive stays and adjusts for a customizable fit. 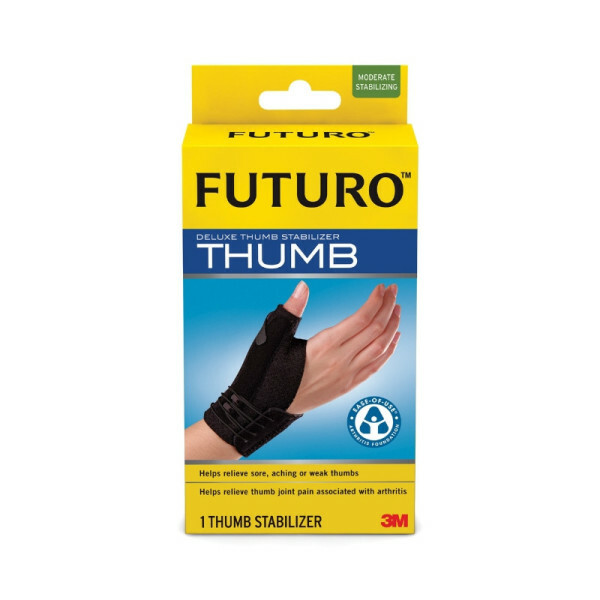 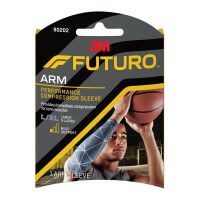 When your thumb hurts, it's hard to think about anything else­-so slip on the FUTURO Deluxe Thumb Stabilizer for extra support.